A vandal has caused thousands of pounds worth of damage on cars parked in a Bangor car dealership forecourt. 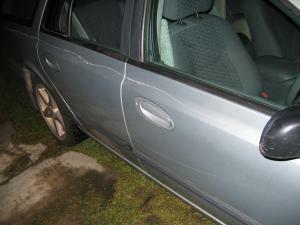 A total of 38 cars were damaged when the vandal scratched panels on the vehicles. The incident was thought to have occurred after 12am on the morning of Tuesday 2 September at College Motors, Caernarfon Road in Bangor, with the police now coming forward in a fresh attempt to find the culprit. While there is no real way to prevent mindless acts of criminal damage such as this, companies can protect themselves if and when these incidents occur. Car traders must seek out the right combined motor trade insurance for their business, which includes the cover of vehicles parked on site. The damage was discovered by employees returning to work Thursday. Thirty-eight cars suffered scratches to the bonnet or the side or rear panels. College Motors manager Catherine Parry said: “It was just horrendous. I had to phone my boss straight away to tell him. The police are appealing for anyone with information to contact them or Crimestoppers, News North Wales reported.